Nationwide Real Estate & Relocation Corporation (NRER) is changing the face of real estate & relocation nationwide! Our real estate professionals are all licensed to sell real estate and mastered in moving. Our Agents/Sales Representatives are trained to do more than put a sign in the ground and sell homes. They are all trained in van line relocation to survey your home, facility or office for pickup and delivery from our van line partners. We provide “full-circle relocation” for corporate, military, and individual relocations worldwide. Our business model enables you to manage your relocation budget expenses, while allowing employees, executives or family to focus on and adjust to their new position. We handle the stress of their move. We eliminate the large relocation budget by national account discounts with our preferred van line movers. Our brokers working to buy and sell simultaneously to eliminate lengthy stays in temporary housing. Our lenders look to get down payment assistance or the lowest rates for your new home. Providing your company or family the best moving experience possible. Experience “the Cadillac” of service. Our professional network consist of realtors (not just people licensed to sell real estate), lenders/bankers, homeowner insurance/title insurance, appraisers, home inspectors, appraisers closing companies/attorneys, contractors and van lines. All relocations are managed and arranged through our corporate headquarters in Denver, Colorado as your single point contact. We work directly with major van lines to eliminate having to spend hours with several carriers while getting the best service. We submit all household items to our van line partners for the best pricing for packing, crating, and delivery or storage. Our business model allows our realtors, to simultaneously work together with all suppliers to complete the relocation, from one location to the other. Our network is a group of professionals that have been hand selected and trained to offer “the Cadillac” in customer service and response times for all real estate transactions and relocation. I could go on and on with my positive experience with Nationwide Real Estate & Relocation Corporation! I highly recommend the company, specifically because of my experience working with Sonja Nagel. I’m looking to purchase my first home, and as daunting a task as I felt it was at first when I started and saw all the options in front of me, she quickly stood out as someone who was in it for ME. I have had great experiences with buying and selling a house through Nationwide Real Estate & Relocation Corporation. Everyone is on top of their game and are out to find/sell your home at the best price for you. I have had nothing but positive experiences with everyone involved. They really made this task easy for me being a new home buyer. Stellar! Sonja is on it. She provides phenomenal value with professionalism and thoroughness. I would not hesitate to do business again and again. Absolutely the best! 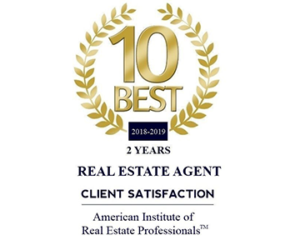 I would recommend Sonja Nagel and Nationwide Real Estate to anyone that is looking for an agent who is knowledgeable, honest, has high ethics and that will have their best interest in mind at all times. The selling and buying of a home is very stressful but I’ve never doubted that Sonja ‘had my back’.